Virtual Webmaster Solutions from the Webscaper let you focus on running your business, and leave the web stuff to us. For your business or organization to succeed, you need to stay on top of your day-to-day operations. You already wear many hats… do you need to add “web designer” to your resume to succeed? Let the Webscaper handle all of your website maintenance for you! We offer two maintenance & security plans that go much farther than just performing plugin updates. Both of our plans provide 24×7 total web environment monitoring and response. Two separate security monitors plus uptime monitoring alert us the moment anything suspicious happens on your website. We then manually investigate every report and take action – blocking intrusion attempts, stopping files from being injected with malware, or determining the cause of a performance degradation. We make sure your software is always up-to-date, performing plugin, theme, and core WordPress updates automatically for you. If an update breaks something on your website (it happens!) – we fix it right away, usually long before you or your site visitors even notice anything amiss. We perform daily and weekly backups and store them securely offsite where they can be accessed at a moment’s notice if something catastrophic happens at your web host. Our Maintenance & Security Pro plan goes a step farther, providing the best maintenance & security protection you can find anywhere (we challenge you to try!). Through immediate notification of intrusion attempts, deep sever-side scanning, and firewall protection, we guarantee we will stop hacks, malware, and intrusions. If your site does experience an intrusion or hack – we fix it at no additional charge. In fact, if anything causes your website to break or to go down, we will fix it at no additional charge! We don’t know of any other maintenance providers that offer this level of protection! When you choose the Webscaper as your website partner, you get much more than just maintenance. 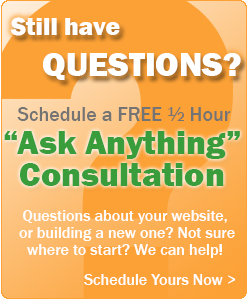 We become your go-to source for answers to any questions you have about your internet presence. No more Googling for hours to find out how to do something on your website. Have a question about how to add functionality to your website? Need advice on e-mail marketing, or the best plugin to showcase a gallery of photos? Need to integrate social media, or publish video to your website? Our expertise in the WordPress marketplace, coupled with our professional affiliations with reputable service providers, other WordPress experts, and plugin developers mean that you can recommend the right solution for you, but we can take care of implementing it for you, as well! Our maintenance plans include 1 or 2 hours of complimentary support request time per month, depending on the plan you choose. If you intend to do all of your own content updates and do not need assistance with site functionality, postings, etc., that may be all you need. Most organizations need a little more help in updating content, graphics creation, or adding new functionality to their websites now and then. The majority of our clients prefer a more hands-off approach to their website development, and have us take care of much (or all) of their website updates and development. We do as much – or as little! – as you like. If you anticipate needing more than the included 1 or 2 hours provided through your maintenance plan, additional support hours can be purchased in the form of our Virtual Webmaster Web Buckets. Simply purchase a “bucket” of hours – in 10-, 20-, or 40-hour bundles – and the hours can be used as needed for any support requests related to your website. For as long as you are a maintenance customer, your Web Bucket hours do not expire – use them as needed and save the rest for when you need them. Sound Like a Dream? Get Started Today! Imagine: a beautiful website, always fresh content, up-to-date, all of your maintenance needs always taken care of, and virtually hack- and virus-proof: stress free! That’s what we provide. Get back to focusing on your own business or organization tasks, and leave the web stuff to us!